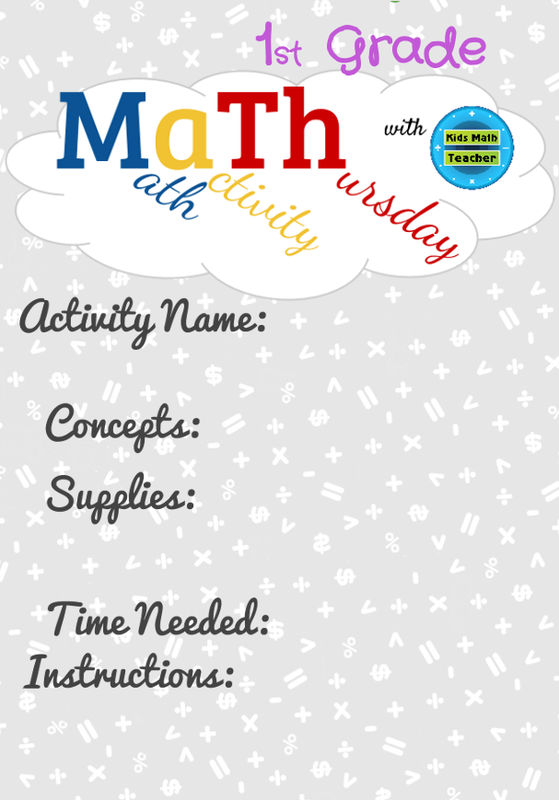 Welcome to Math activity Thursday! Link up your math post at the bottom. 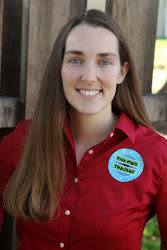 I can't wait to see your activities! 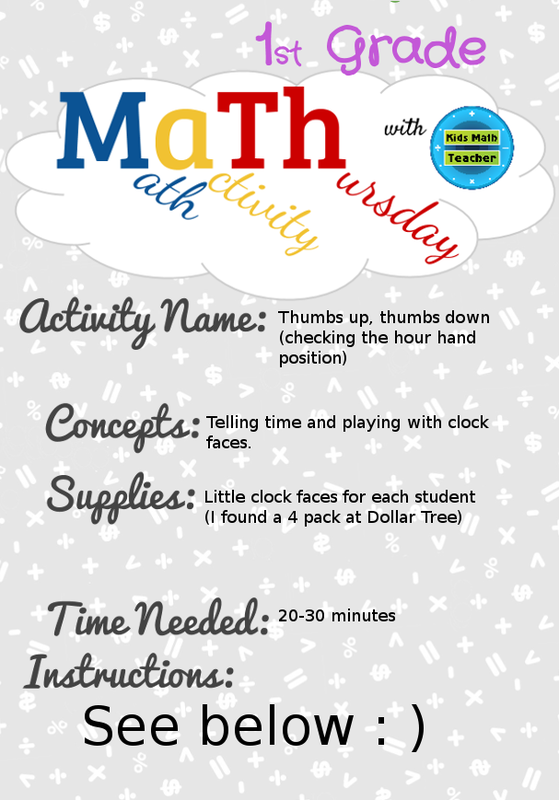 Today mine is on telling time with the hour and half hour and a thumbs up, thumbs down activity. Concepts: 1.MD.B.3 Telling time for at the hour and half hour, checking for accurate hour hand position. 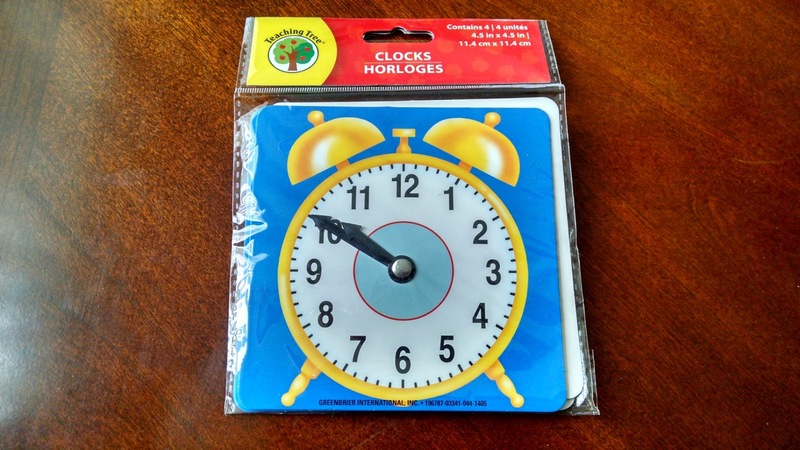 Supplies: Little clock faces for each student. I found this great 4-pack at Dollar Tree. The little plastic hands are decently sturdy (not sure how long they will last but sure better than paper). 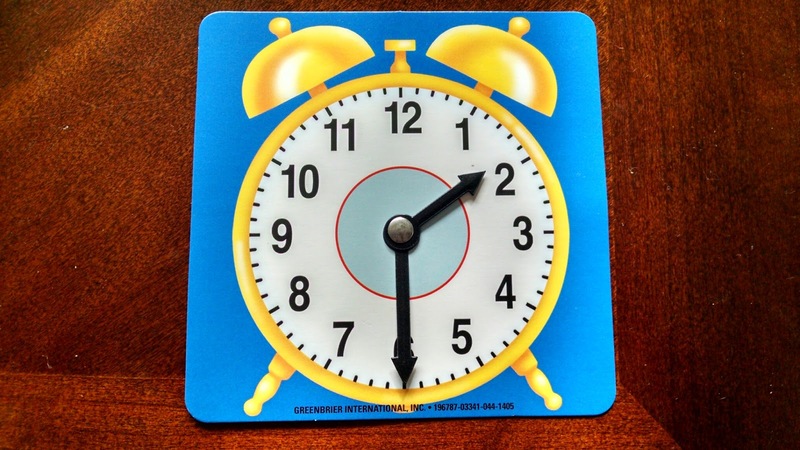 Time needed: 20-30 minutes for teaching, practicing, checking, and playing with the clocks. Instructions: Take 5-10 minutes teach. Talk about the the hour position and if they need to review which hand reads the minute and which hand reads the hour, do so now. Explain, at the top of the hour we are just starting a new hour and the minute hand is at the top. Digitally it looks like 1:00. Show other hours by moving the hour hand but then come back to this one. Explain that each of the little dots in black is one minute passing and when the minute hand passes each of the numbers we actually practice skip counting (AKA multiplication) of 5. But for now, we are going to make the minute hand go to the bottom. How many minutes is that? We could count each of them or we could skip count--it's 30! Then why do we call if half an hour? 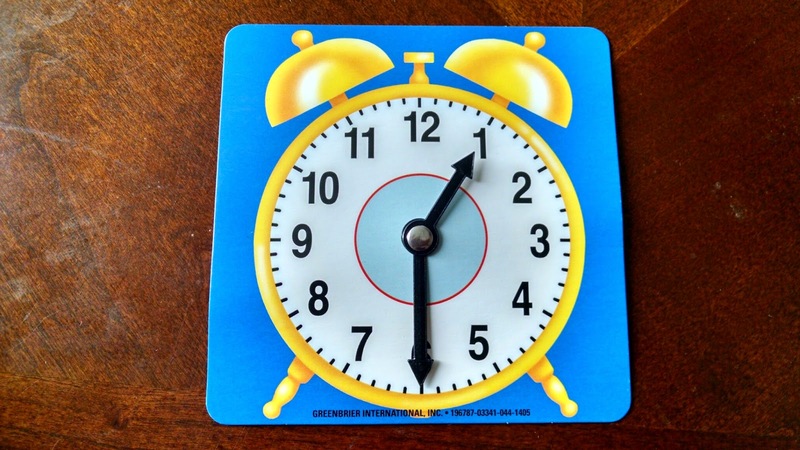 Lets look at the clock as a circle. If we shade all the minutes we passed from 1:00-1:30 that is half the circle. It is half of the whole hour. (But here is the part we don't always teach) While the minute hand is going, does the hour hand stay in the same place? No, it advances slowly, getting closer and closer to the next hour. 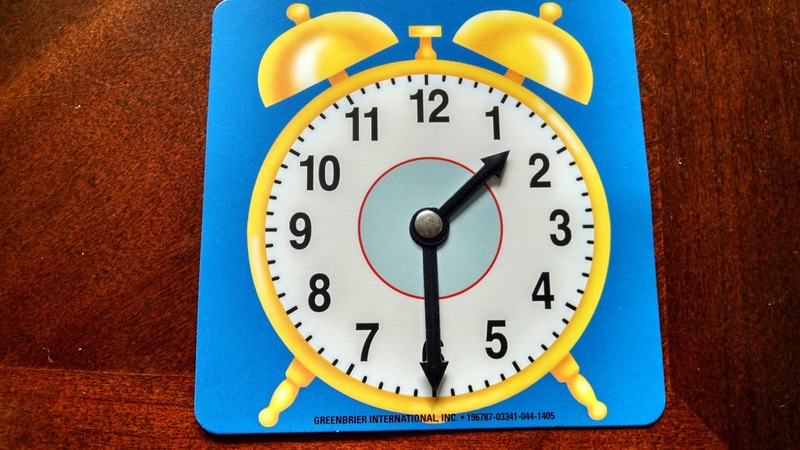 So when the minute hand is at the half hour position, lets see where the hour hand points. It is half way between the 1 and 2. Yes, that is because it is half way through the whole hour of minutes. it just wouldn't seem exactly right. Let's see if you can guess which one of these clocks have the correct hand position. 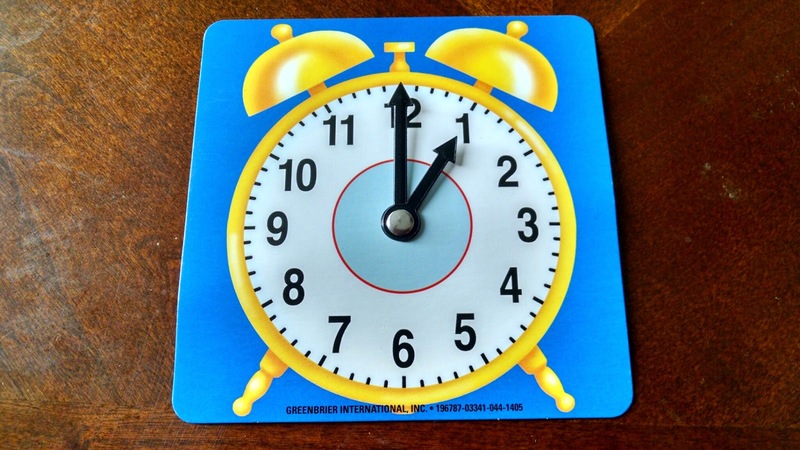 (put two clocks side by side and make one correct and one incorrect and do this a few times). Now you are ready to try! Practice and play. Play could include reading a story with times in it and the children move their clocks each time it says the time in the story. Now it's your time to link up if you want. Here is the 1st grade MaTh template. We will be doing 1st grade math for the rest of this month and then in September we'll be into 2nd grade math.